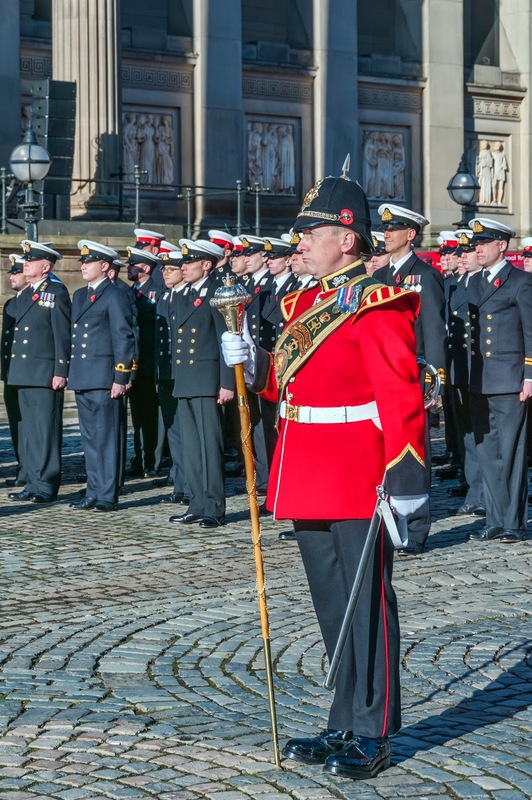 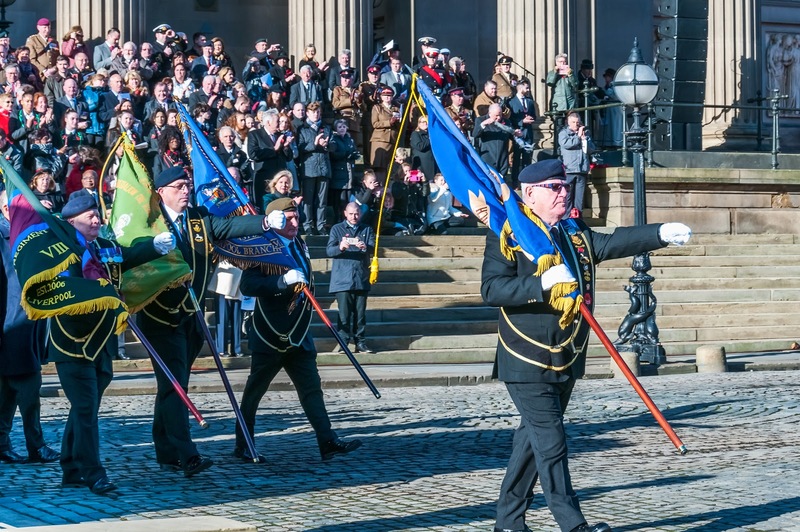 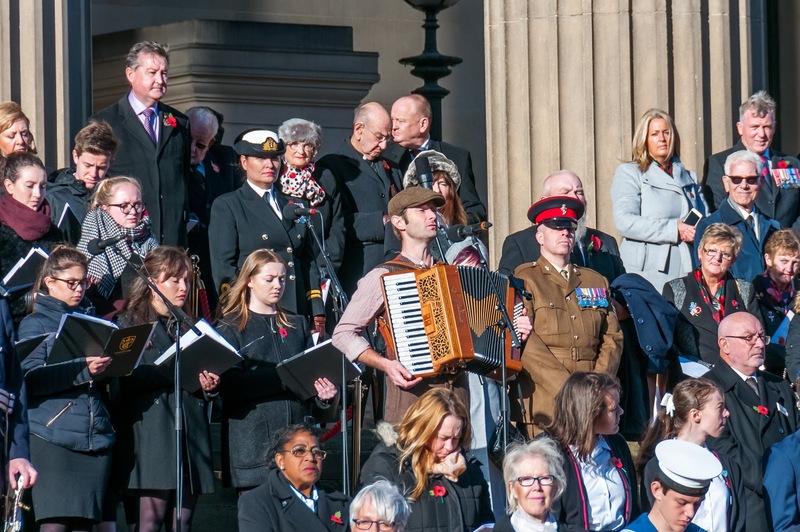 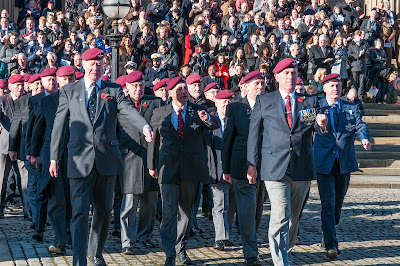 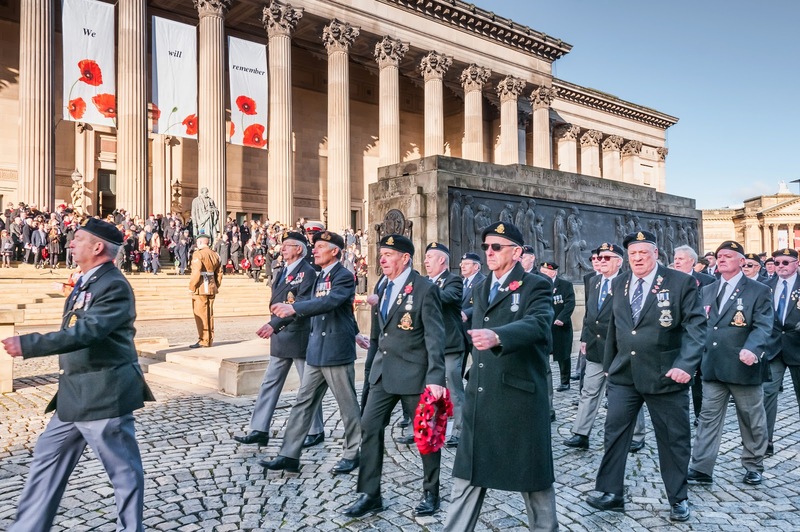 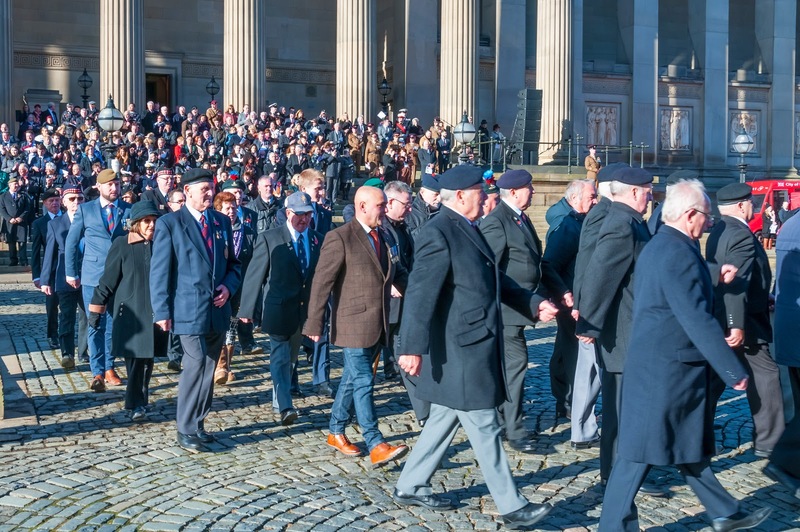 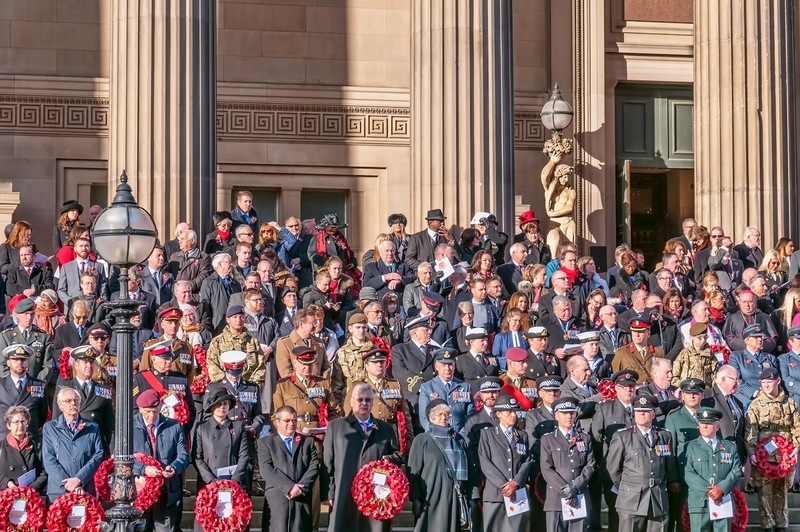 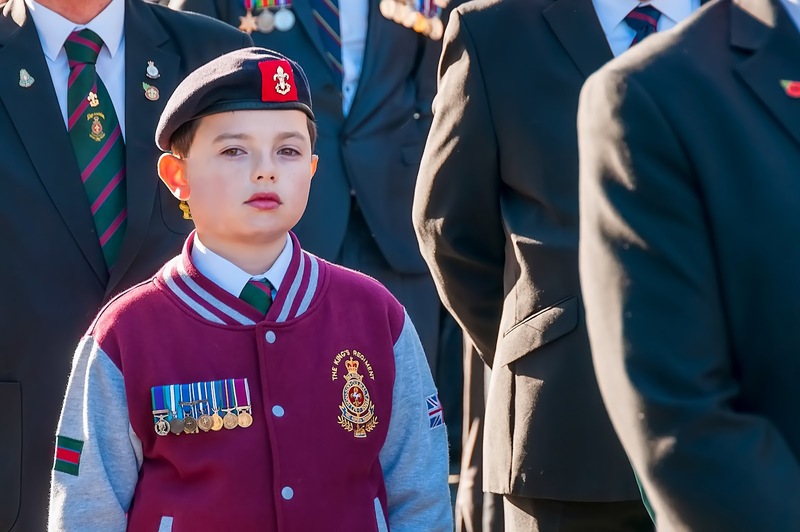 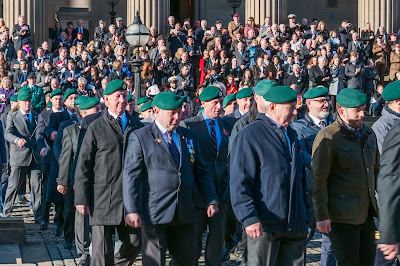 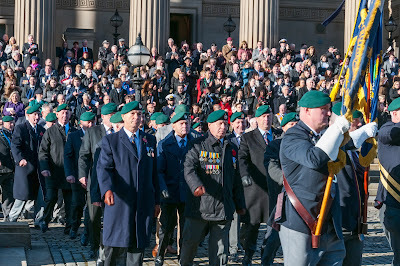 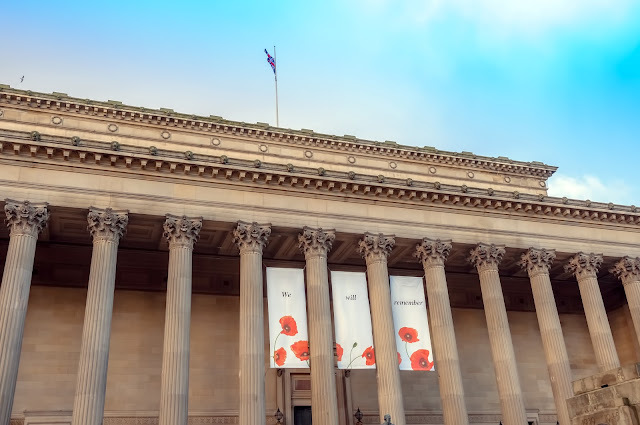 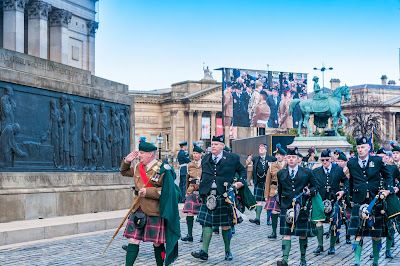 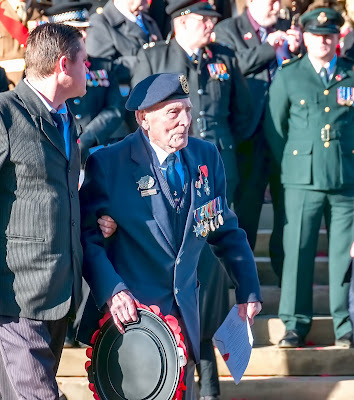 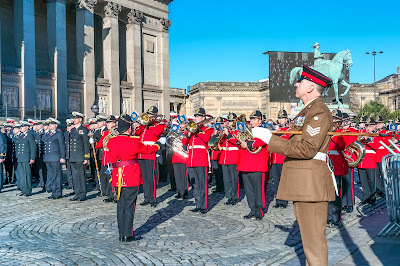 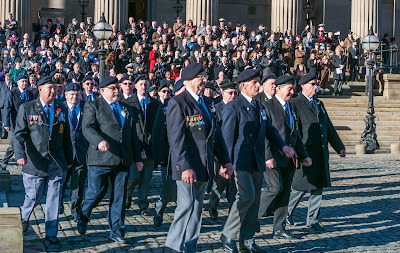 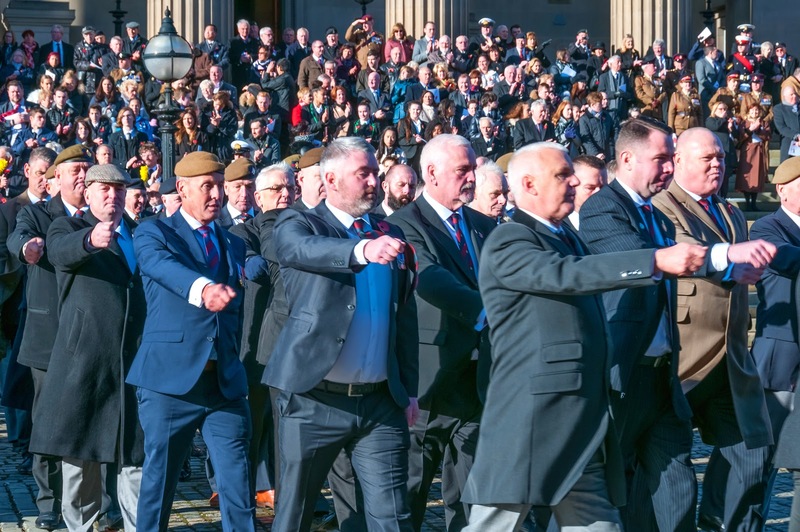 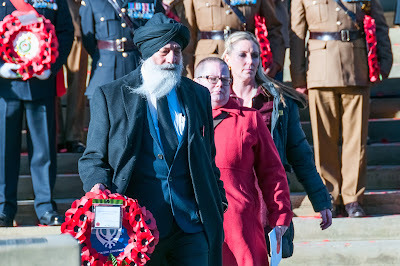 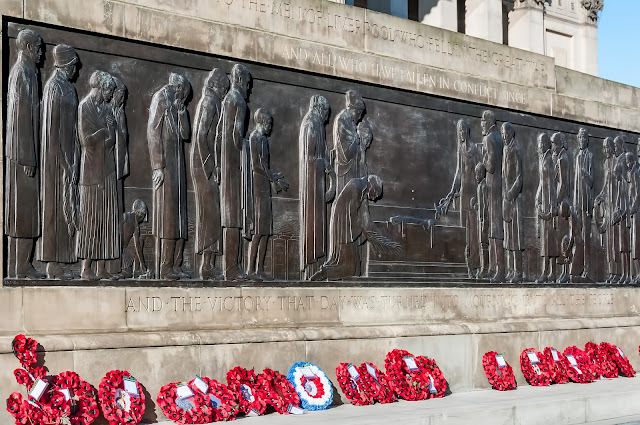 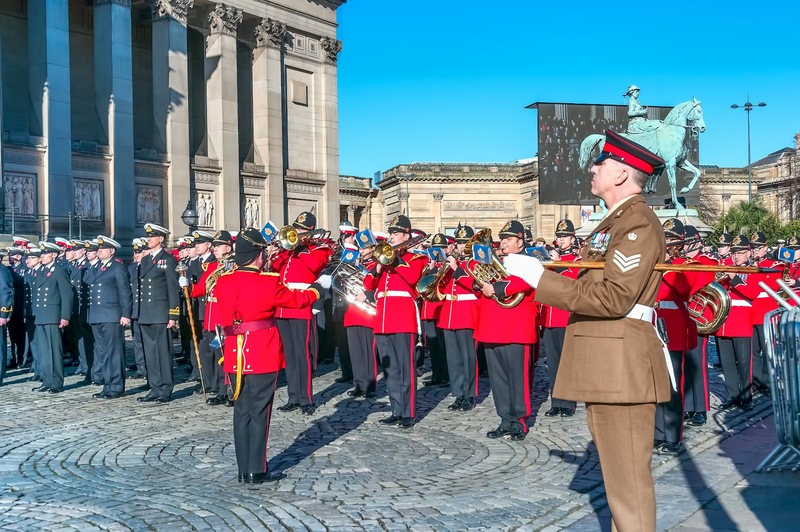 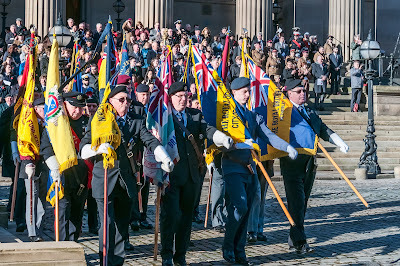 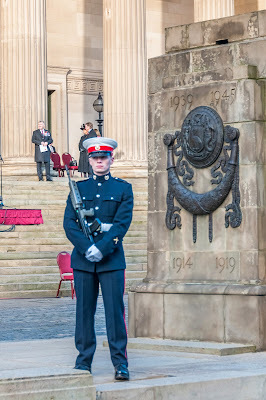 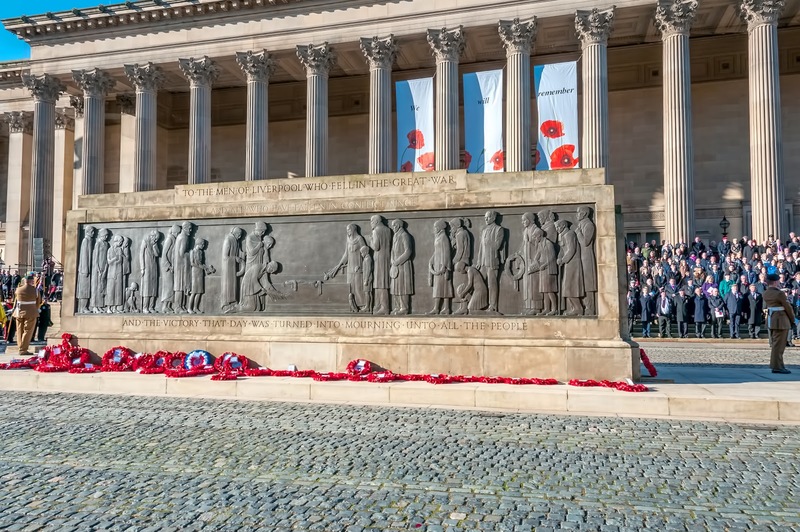 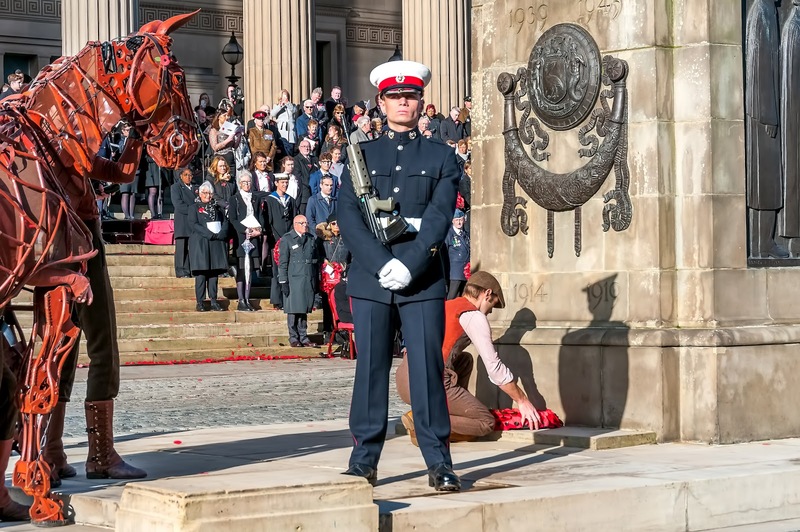 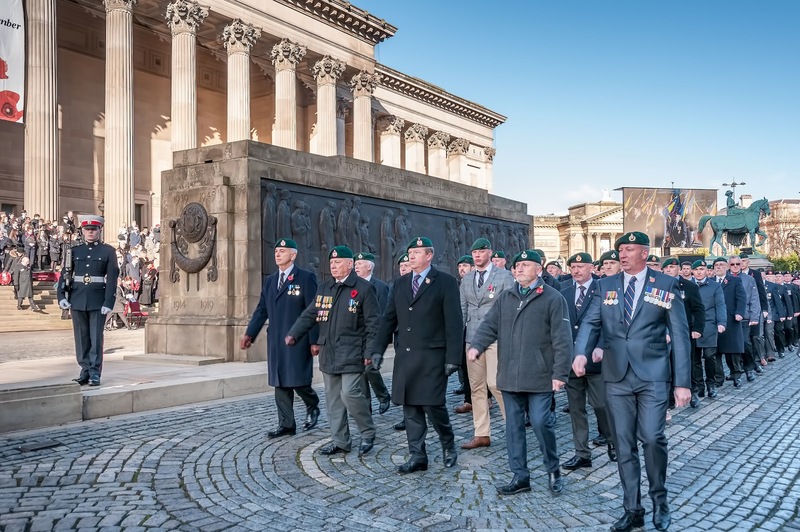 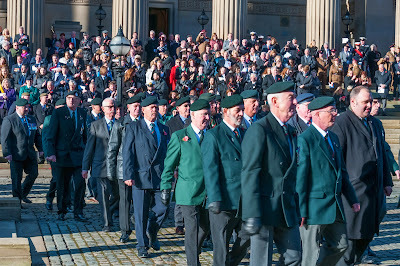 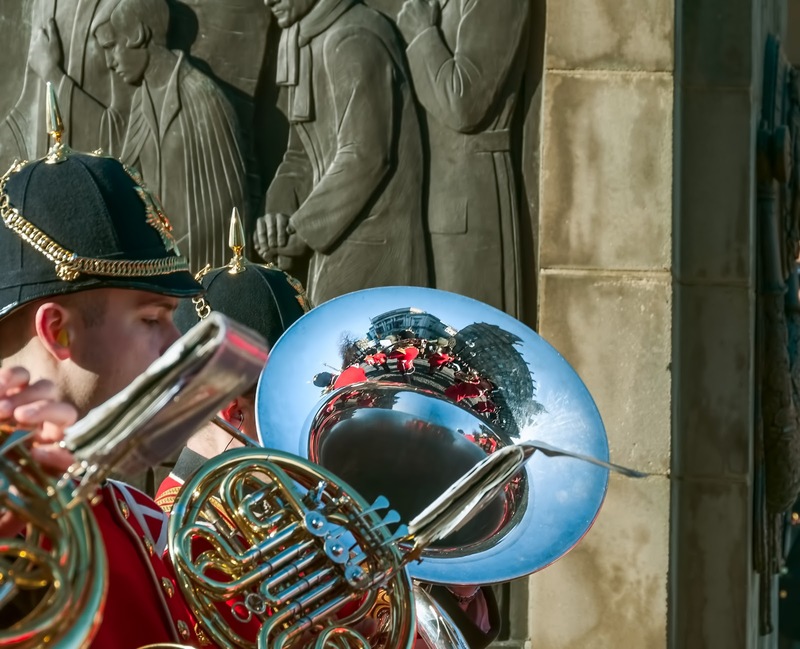 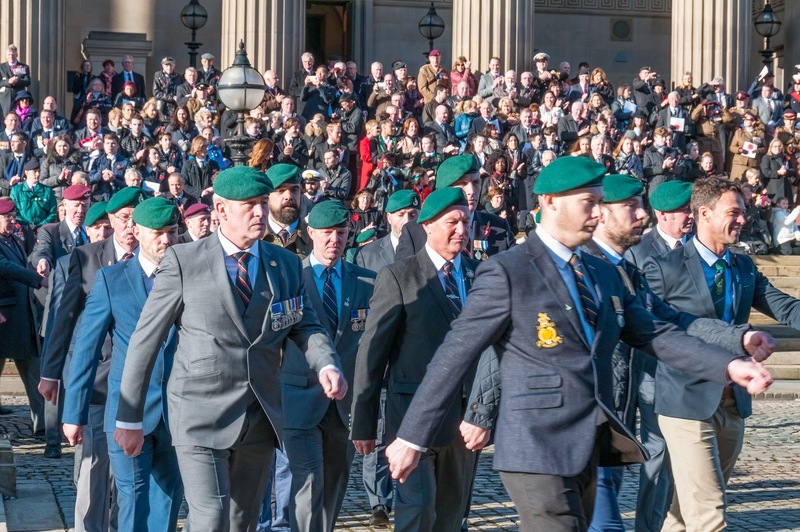 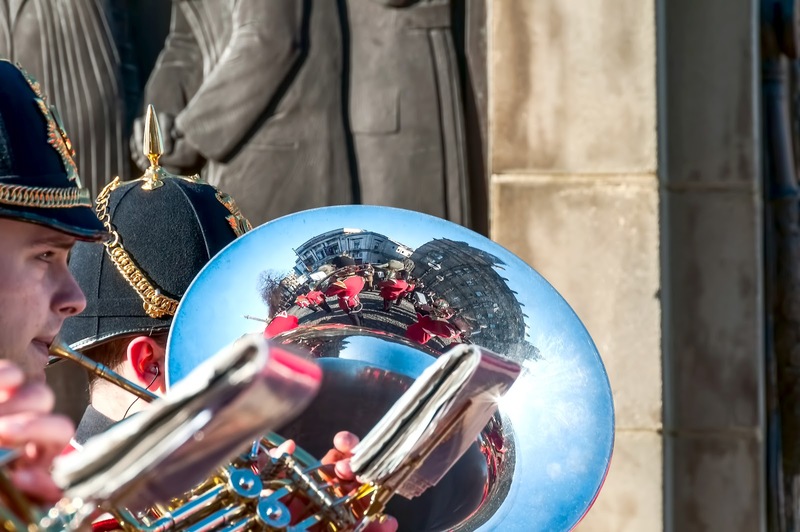 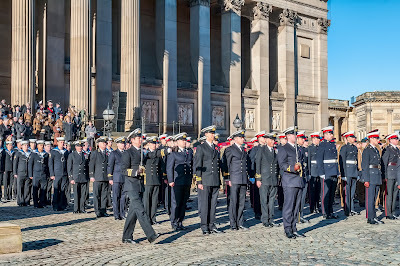 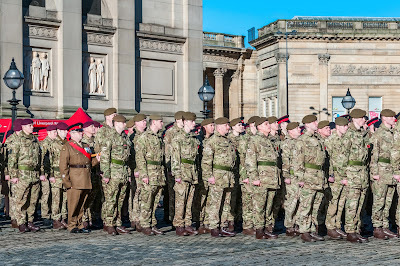 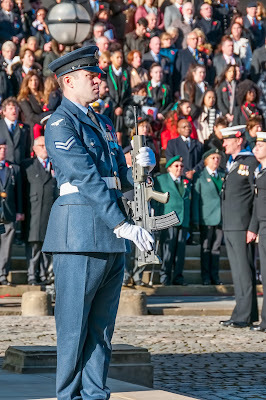 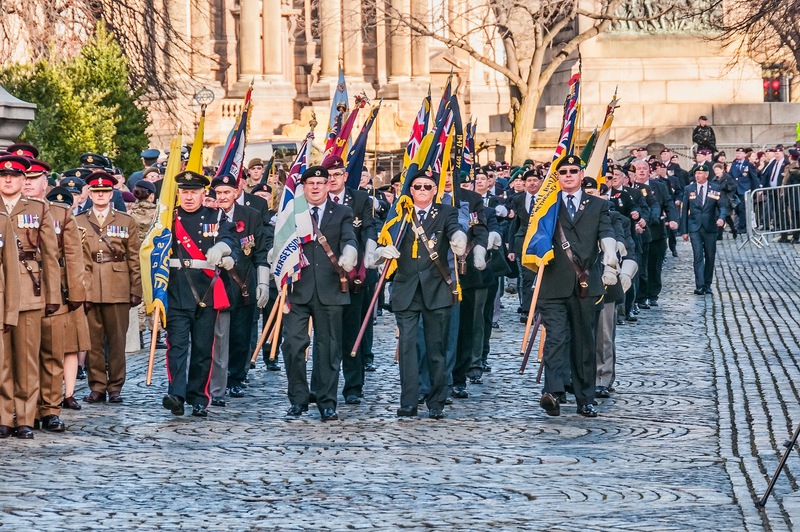 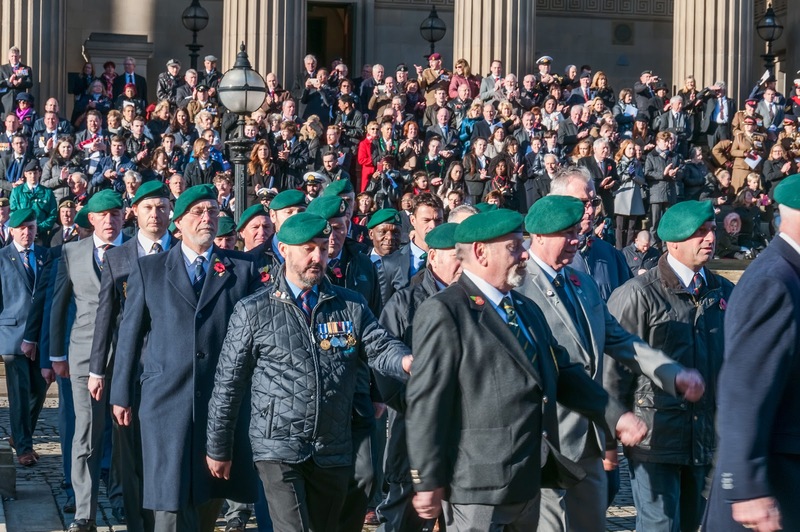 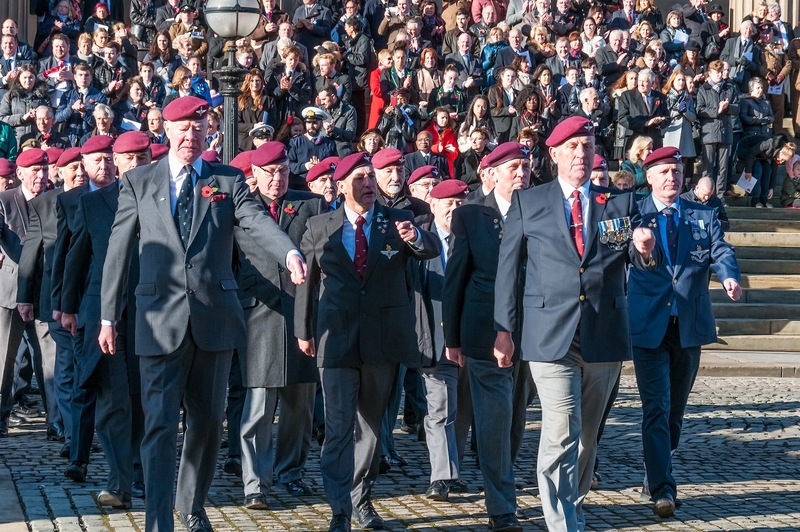 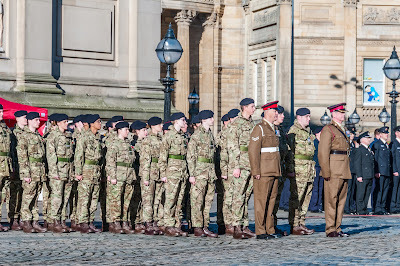 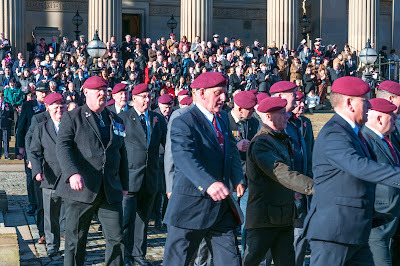 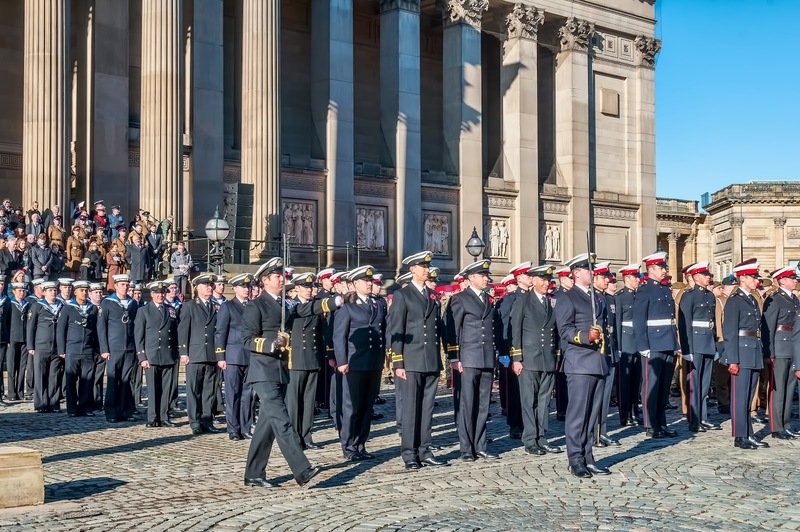 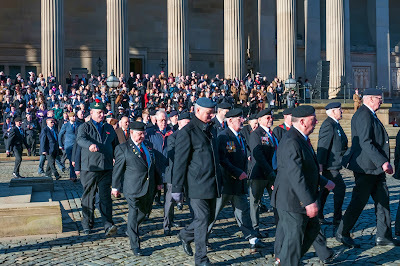 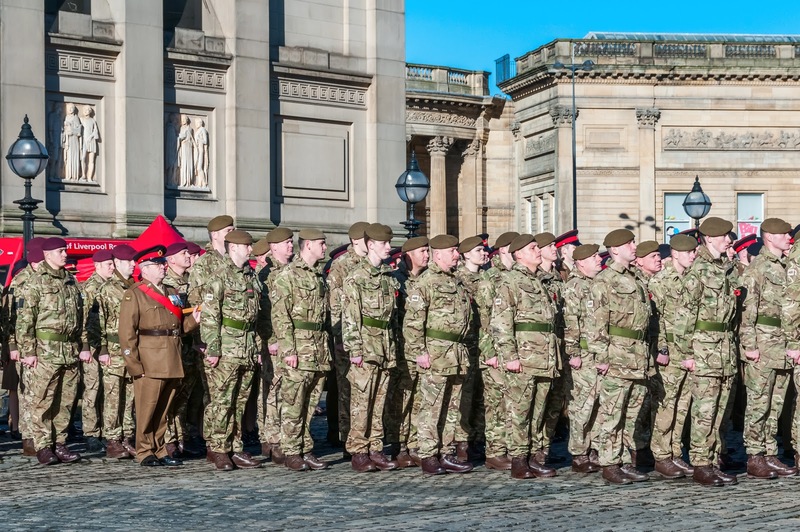 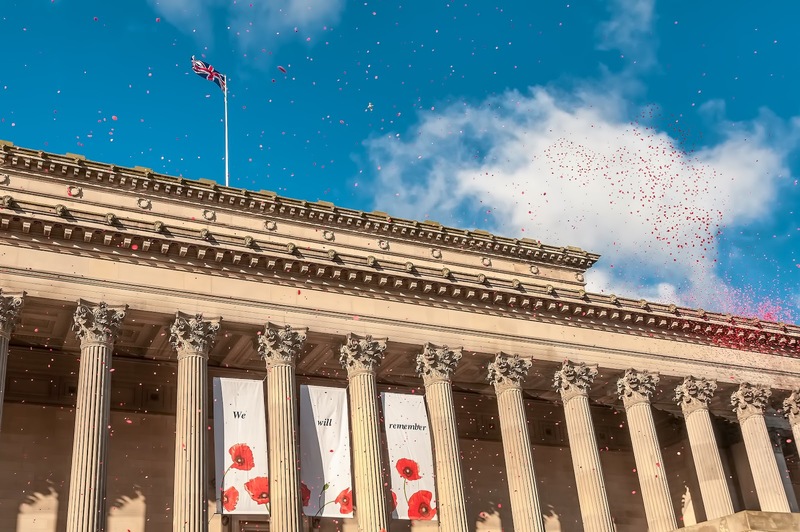 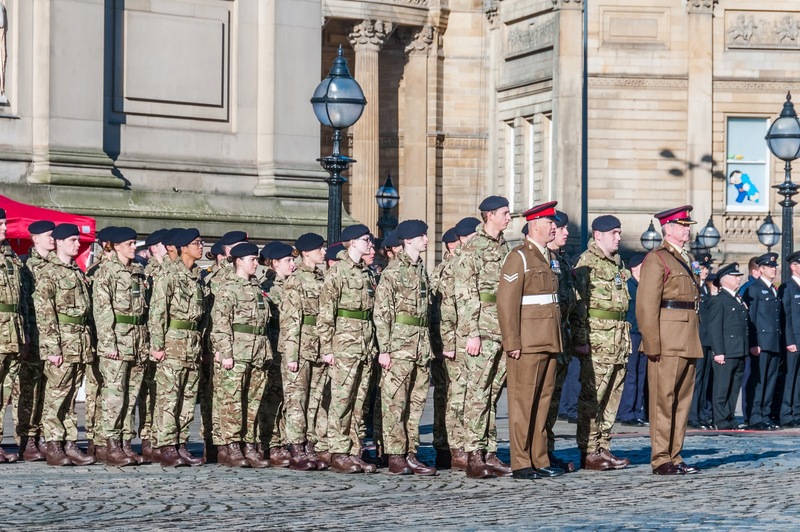 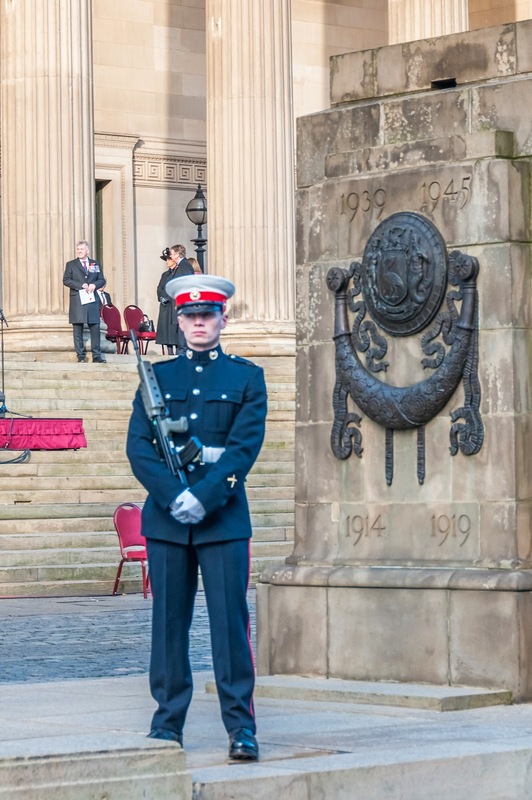 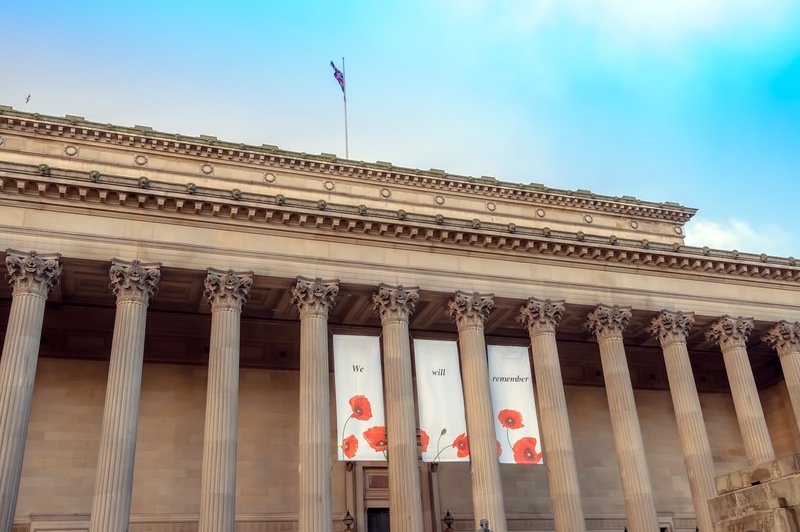 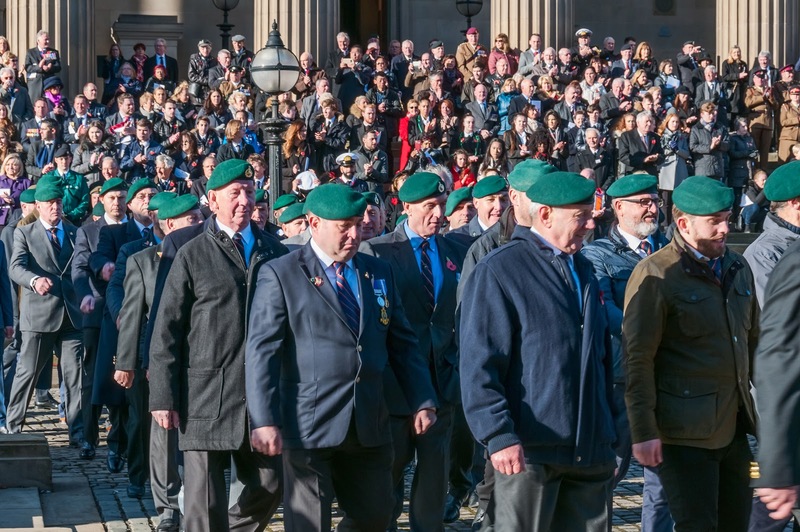 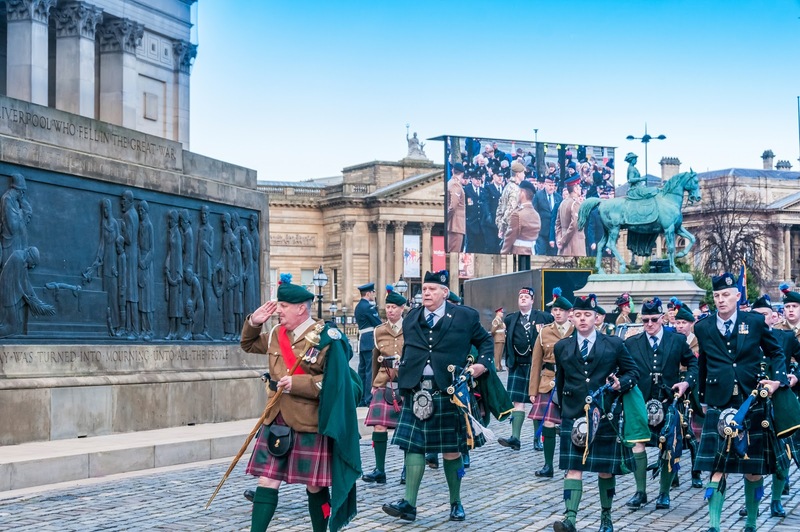 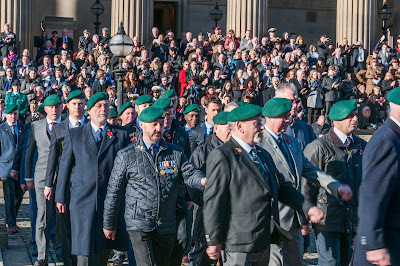 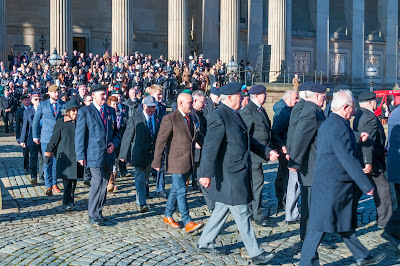 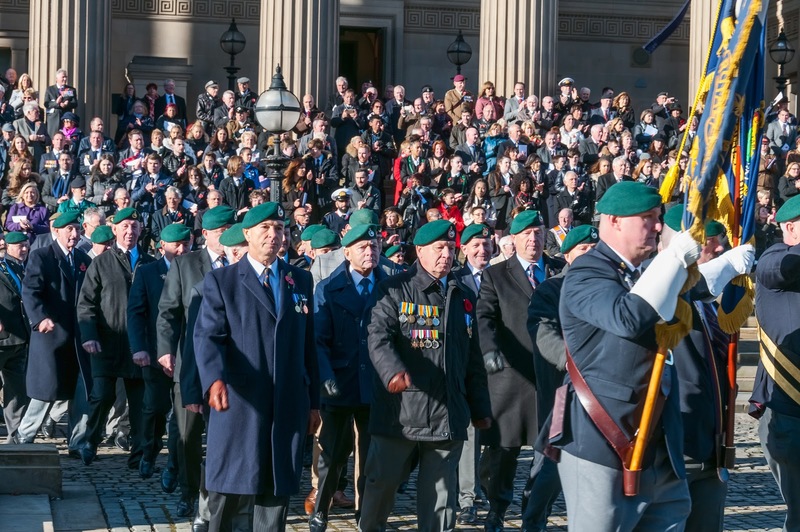 Liverpool’s Service of Remembrance and Dedication was held today on St George’s Plateau. 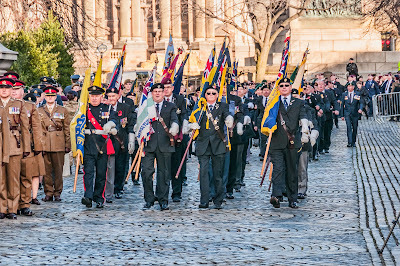 At the event we remembered the 100th Anniversary of the Battle of Passchendaele and the 100th Anniversary Year of United States of America entering the First World War as well as celebrating the 100th Anniversary Year of the Women’s Army Auxiliary Corps the 75th Anniversary of the fall of Singapore to the Japanese and last but not least 75th Anniversary of the Battle of El Alamein. 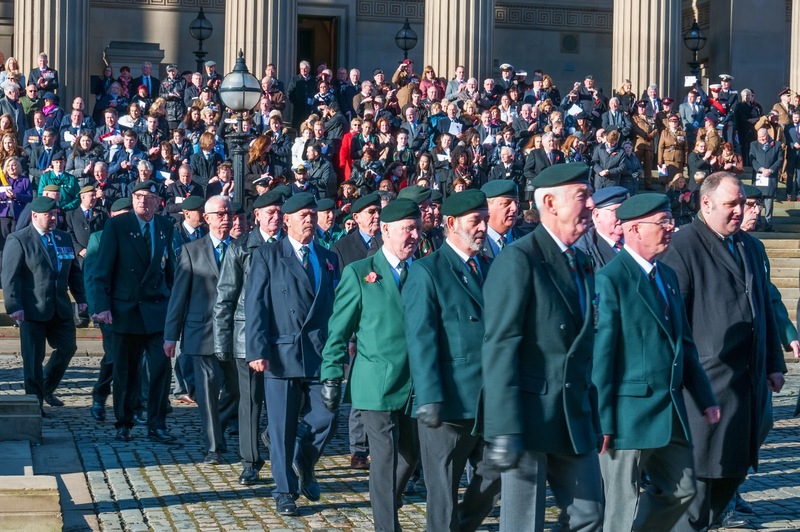 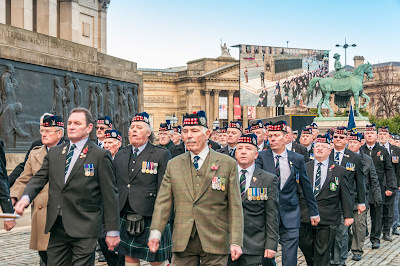 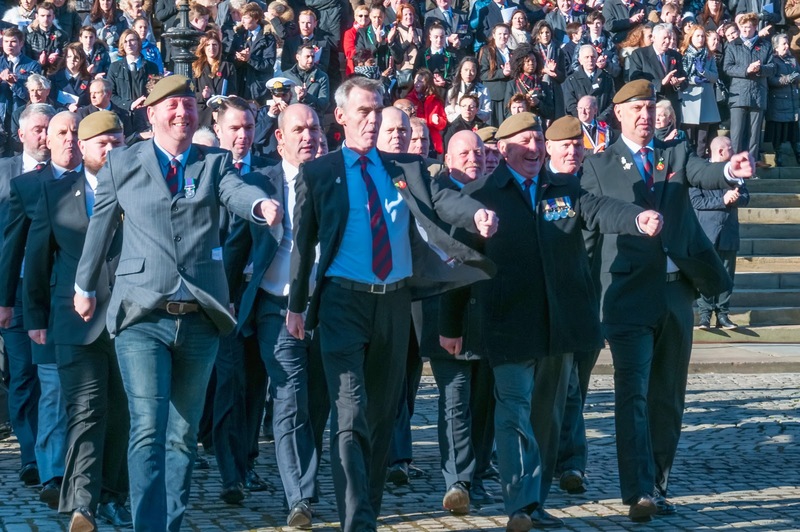 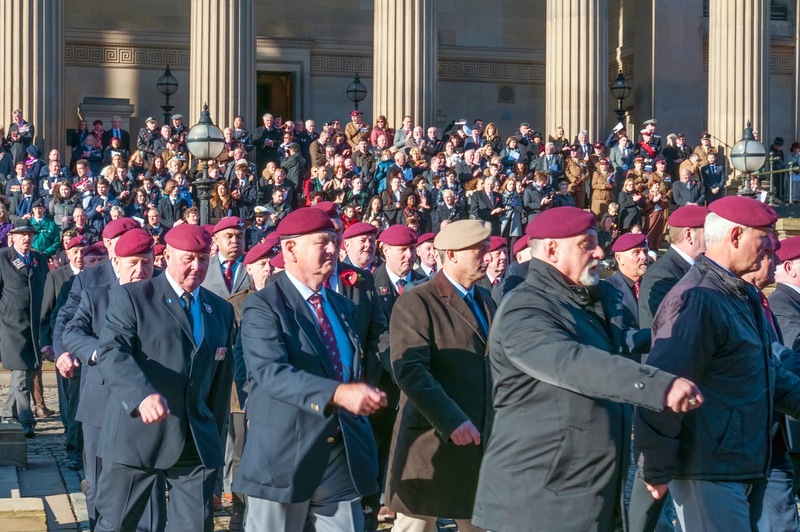 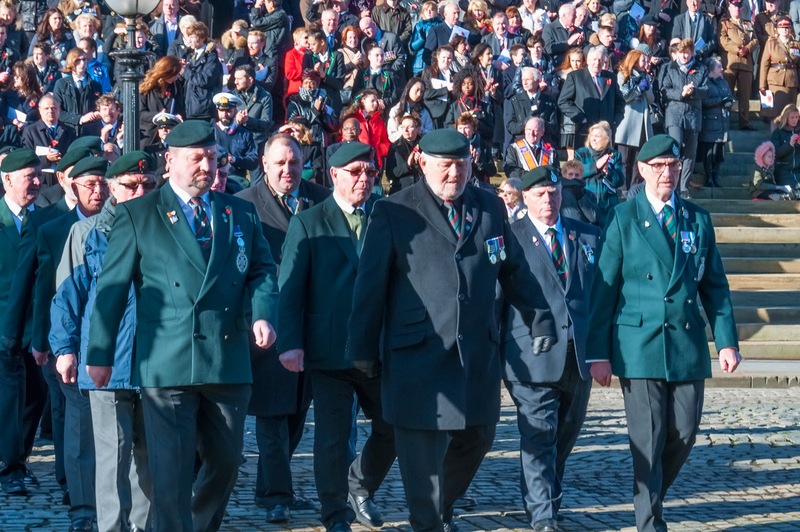 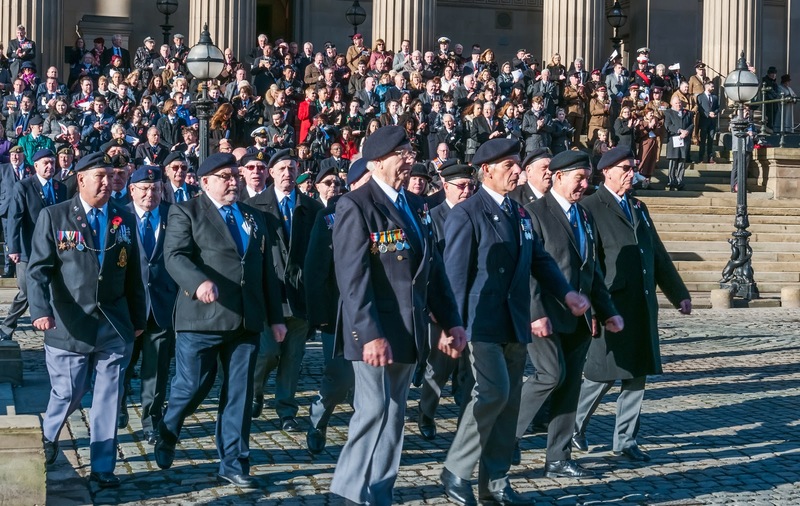 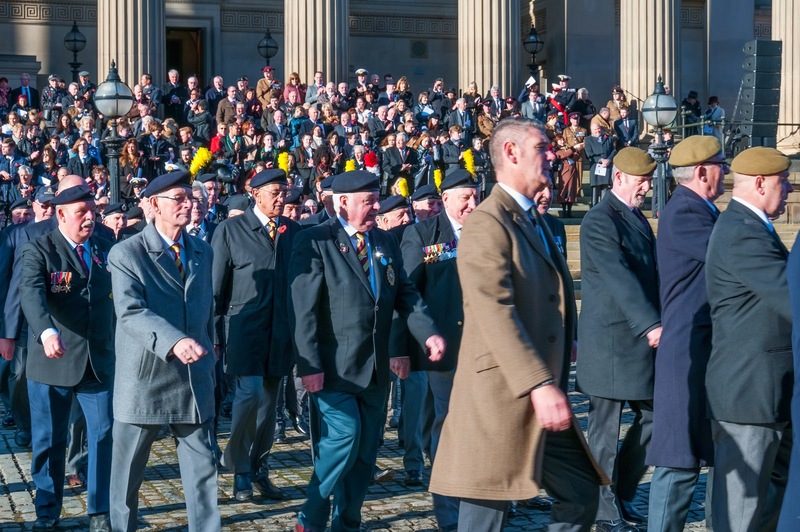 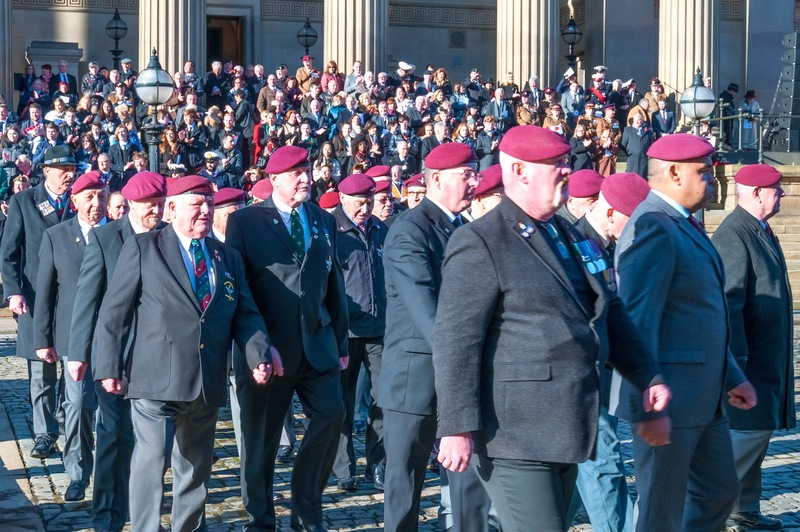 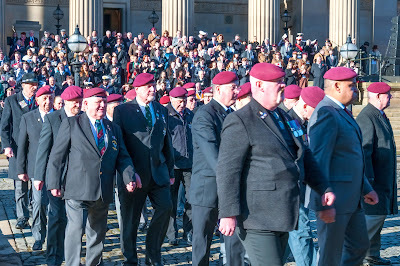 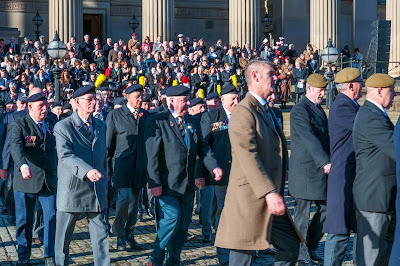 A massive crowd turned out to welcome the veterans and troops as they marched along Lime Street to the Cenotaph. 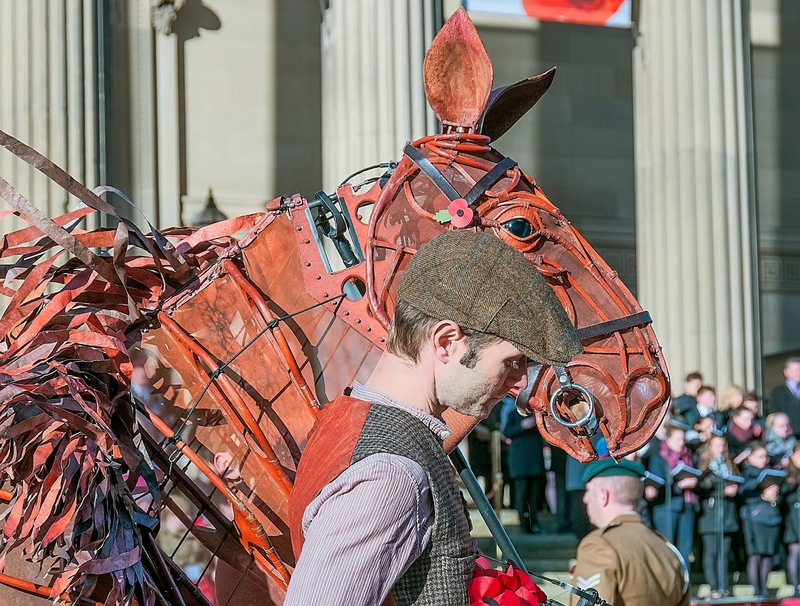 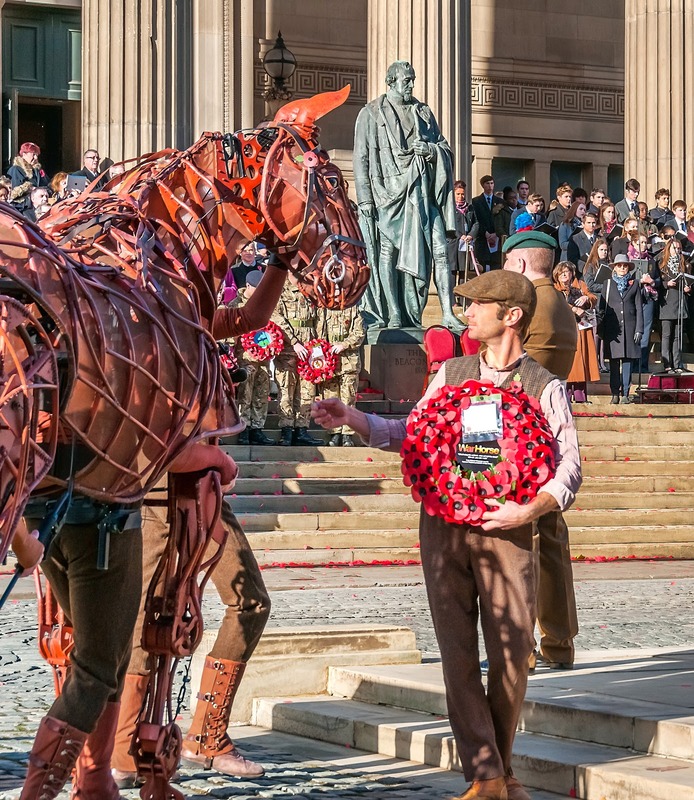 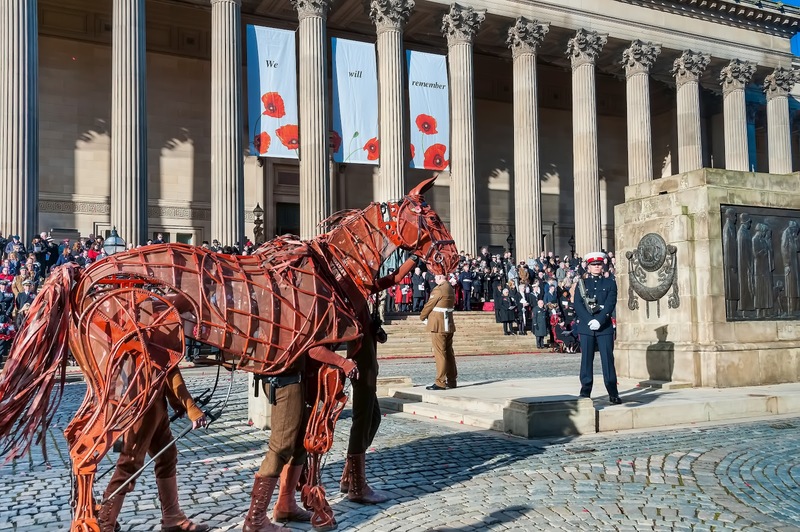 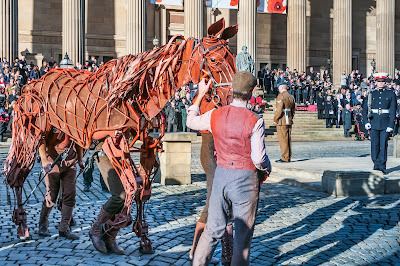 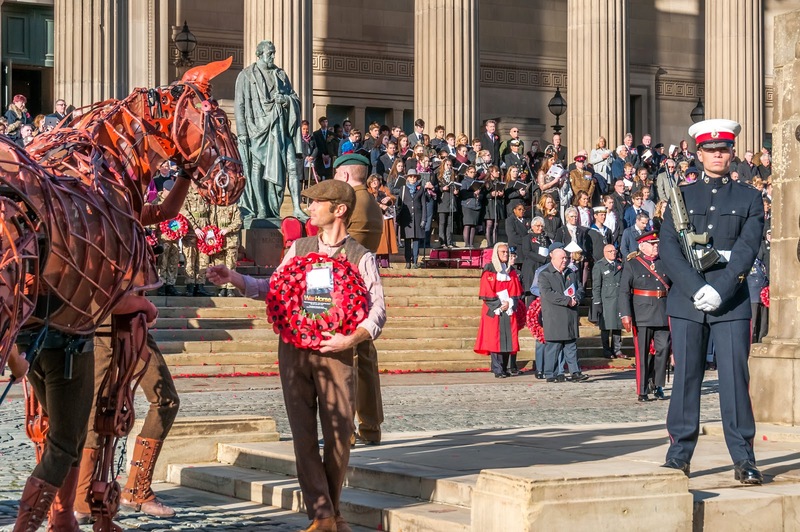 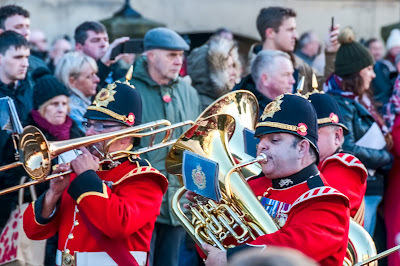 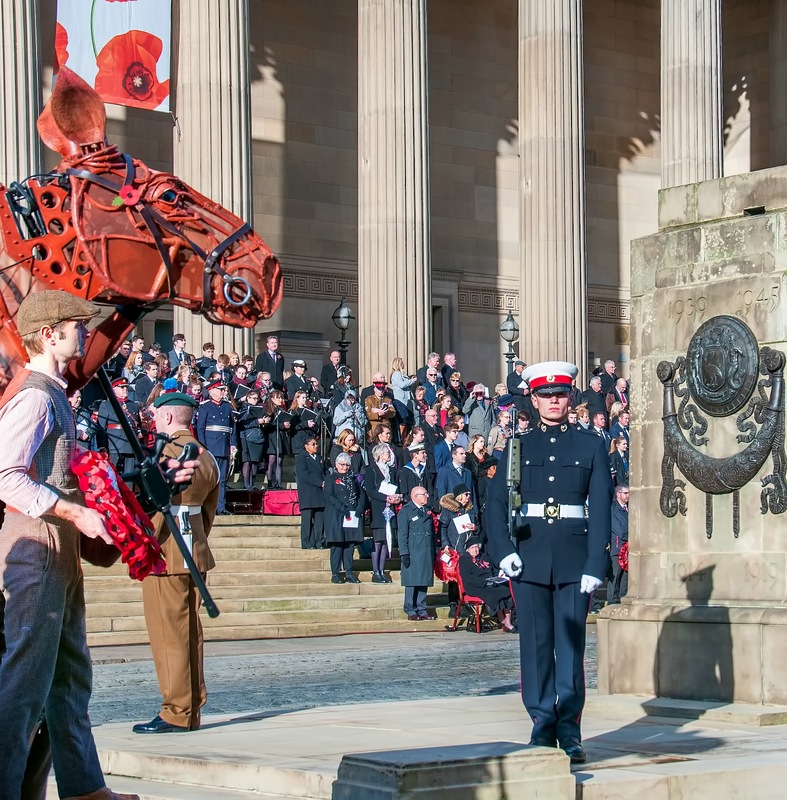 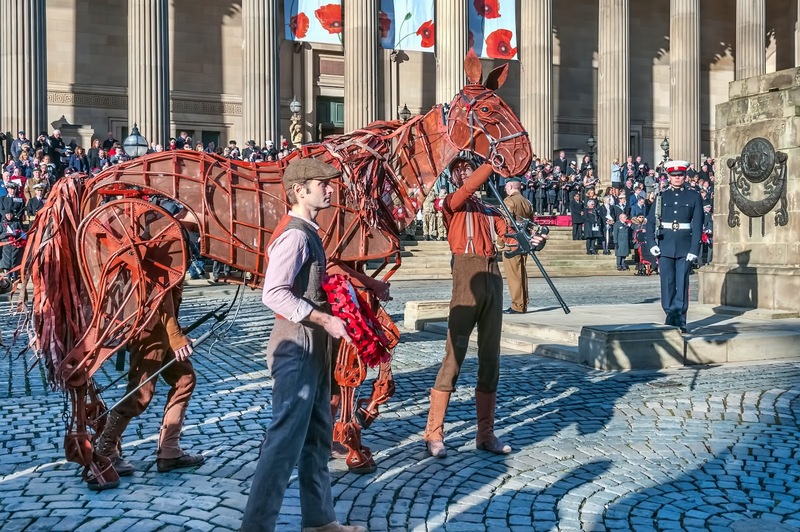 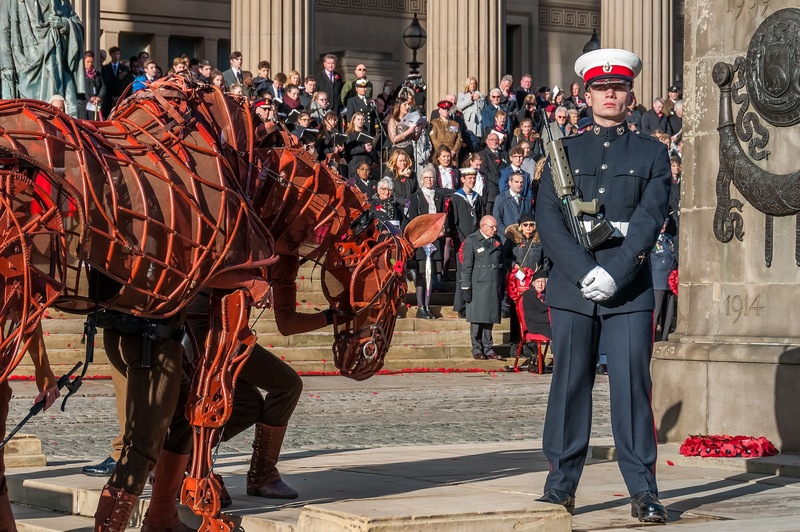 This year those watching witnessed the participation Joey from the National Theatre’s production of War Horse, who joined the Service with the three actors who operate him and Ben Murray (Song Man in War Horse), who sang ‘Only Remembered’ from the production along with the St Edward’s College Senior Choir. Roger Phillips read a dedication that was written by War Horse author, Michael Morpurgo, especially for today’s commemoration in Liverpool. 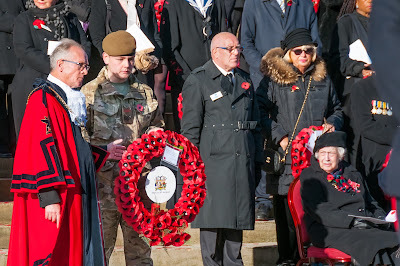 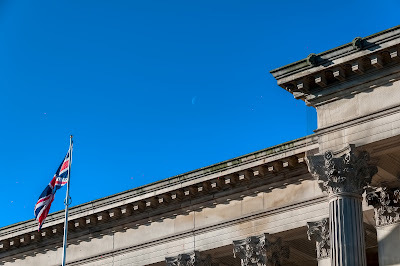 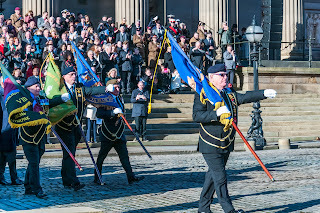 Among those present and representing the city were the Lord-Lieutenant of Merseyside, Mr Mark Blundell and The Right Worshipful, The Lord Mayor of Liverpool, Councillor Malcolm Kennedy and the Mayor of Liverpool, Cllr Joe Anderson.